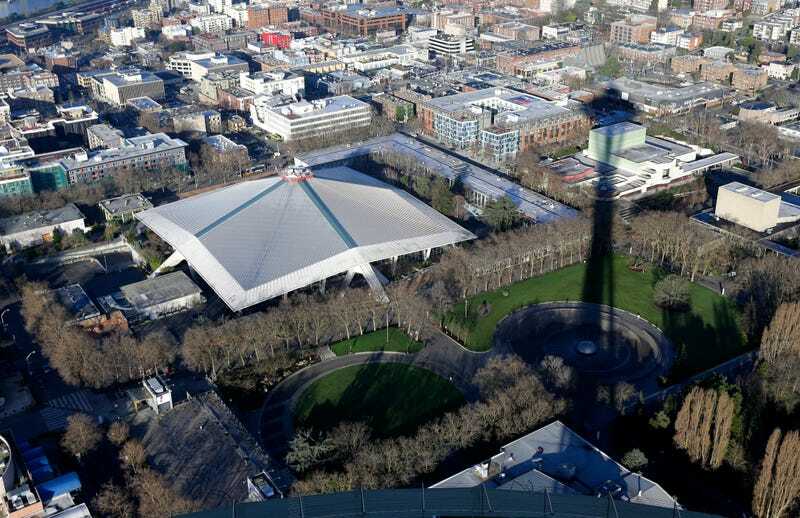 There are still many things that need to happen before Seattle ices its first major league hockey team since 1924, but after Thursday’s announcement by the NHL, it seems like it’s just a matter of time. But, Seattle, you can get your hopes up. There’s an ownership group, led by private equity CEO David Bonderman and Hollywood producer Jerry Bruckheimer, and partnered with the company leading the arena renovation, which is led by Tim Leweike, who has a deep sports management background—he was previously CEO of companies that owned the Kings and Maple Leafs. There’s a season-ticket drive starting, something that probably wouldn’t be allowed if the league wasn’t set on this. There’s an expansion fee—$650 million, which is $150 million more than Las Vegas paid. (Deputy commissioner Bill Daly said the fee is different because of the market and because of inflation.) Basically, this is the same process that prefigured the Vegas Golden Knights’ birth, and barring anything unexpected, this feels inevitable. Notably, Seattle is the only city that’s being allowed to bid for an expansion team. This isn’t an open competition. Sorry, Quebec City. The NHL has other plans for you now. See below. Yes, Seattle does have a Stanley Cup, won by the Pacific Coast Hockey Association’s Seattle Metropolitans in 1917. But while the Canucks have none, the PCHA’s Vancouver Millionaires won a Cup in 1915. So let’s call this one even. There’s one potential wrench to all these proceedings, though it wouldn’t affect Seattle getting a team. Bettman was clear in his announcement that the NHL may consider the possibility of relocation rather than expansion, if, by the time 2020 rolls around, there’s another franchise that needs to move. I do not believe the Seattle club will be a relocated team. I think the NHL very much wants to get to 32 teams to balance out the unbalanced divisions. (Put Seattle in the Pacific and move the Coyotes to the Central. Done.) I believe the NHL is smart enough to realize that Quebec City, with its new arena, best serves as leverage to get the arena subsidies it’s seeking in so many places. And if you actually call a city’s bluff and move the team, sometimes you find out the leverage itself was the more valuable thing. Ask the NFL about Los Angeles. So, as a betting man, I think Seattle gets a brand-new expansion team, though it’s possible 2020 is a year or two too optimistic a projection for it to begin play. I think an NBA team for Seattle will be not far behind. And I think Quebec City gets made to twist in the wind for another decade.